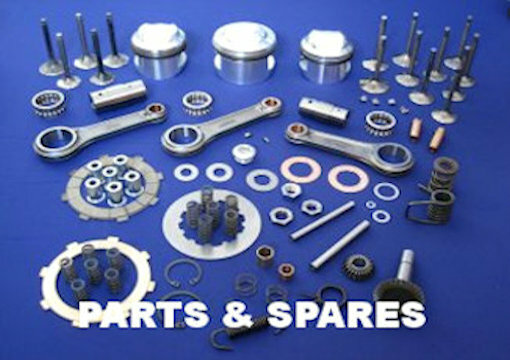 We are a specialist supplier of Ducati Single spare parts for Italian Classic Ducati Bevel Engines. Although historically we have been known as a specialist in the racing singles we now stock parts for road machine and some parts for Bevel Twins. All parts have been carefully sourced and manufactured and with our heritage of racing and engine building you can be assured that parts shown on this site have met our own very high standards. PLEASE NOTE: Canada have suspended and are not guaranteeing tracked services. Parcels are getting through, but very slowly. If you wish to have a quote to courier items, please contact us. If you are ordering particularly heavy items, it may be worth contacting us to ensure we give you the best shipping rates possible. All prices are shown without VAT (UK rate currently 20%). If VAT is applicable it will be added on when completing your purchase. If you are not subject to VAT you will not be charged. Any difficulties with this please contact us.